Hi! I’m Stan Connor, chief executive officer of Pawsitively Organic, a gourmet pet food business. I’m so excited to take you guys on a tour of my home—Frog Ledge, Connecticut. I’ve been living here now for almost a year, and I know I was meant to be here. I found Frog Ledge by accident when I was driving through town with my friend Nikki during a really rough time in my life. I saw the town—saw my house, in fact—and fell instantly in love. Within two months, I said goodbye to my life in the city, bought the house and moved in, ready to start some new adventures. I’ll start with my house. I live in a beautiful mint-green Victorian, right on the town green, which was part of the draw for me. Everyone comes to the town green. Forget the town hall! Unofficial meetings, concerts, plays, farmers’ markets, fireworks, tree lightings—it’s all happening here. The green also has a walking path that I take advantage of daily in the nice weather, and some of us do yoga sessions out here. It’s the best place in town. The dogs in town love it too. It’s the favorite place for playdates. And there’s a gazebo, which people use as a center for events. 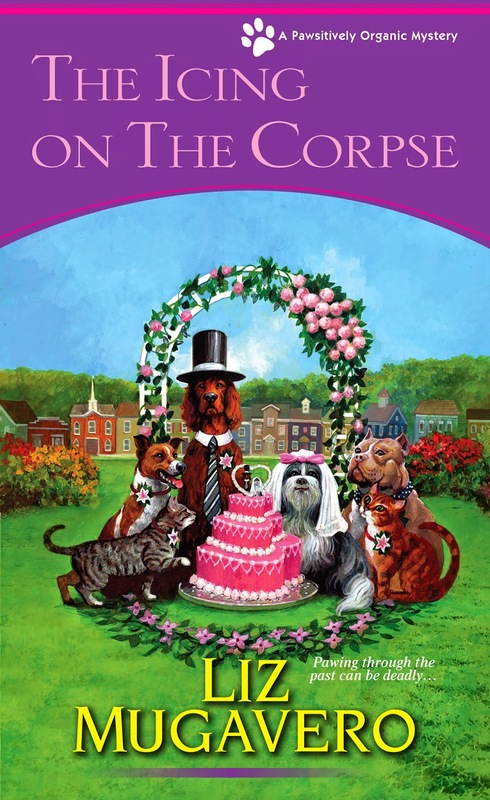 Hint: There’s going to be a doggie wedding taking place here in The Icing on the Corpse. Also on my street: the Happy Cow Dairy Farm (you can read about my adventures here in A Biscuit, A Casket), my friend Amara Leonard’s house, the historical society and up at the very tip of the green, the Frog Ledge Library. On the other side of the green you’ll find the War House, where volunteers dress like Revolutionary War soldiers and take you through the building that served as the strategic planning zone for the war. Adjacent to my street you’ll find Main Street. The Town Hall is across from the library, and that’s where Jessie Pasquale, the resident state trooper, also has an office. Jessie and I have spent a lot of time together since my move to Frog Ledge. I don’t think either of us are really excited about that, but it can’t be helped. Also on the corner of Main Street you’ll find Izzy Sweet’s Sweets, my friend Izzy’s gourmet chocolate, pastry and coffee shop. This place alone is the best reason to live in Frog Ledge. If I didn’t exercise regularly, I’d be in trouble. Heading down Main Street in the other direction, there’s the vet clinic which is under construction. 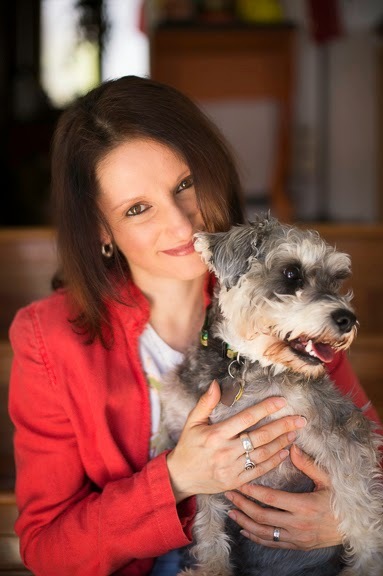 My friend and neighbor Amara and her fiance are opening a brand new facility after we lost the town vet and most of the building (you’ll have to read Kneading to Die to hear all about that). This new clinic is going to be the envy of our neighboring towns, because it will combine traditional and homeopathic medicine as well as a small adoption center. I’m just so happy to live here. I never thought of myself as a small-town girl, but I can’t imagine being anyplace else now. Of course, I had no idea how adventurous it would be….or how many dead bodies can pile up in such a small, picturesque town! My latest adventure, The Icing on the Corpse, is out March 31. Hoping you’ll all want to visit Frog Ledge and check it out! Happy St Patrick's Day. Great visit. Love this series and look forward to many more books and visits to Frog Ledge!